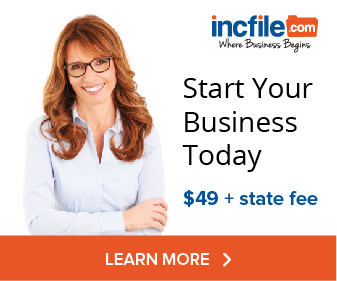 Filing an EIN for your business is easy and can be done by almost anyone. We show you how to file directly with the Internal Revenue Service (IRS) and will take less than 5 minutes. How much does an EIN number cost? Check out our instructions and video to see how you can get a free tax ID number for yourself! An EIN, also called the Employer Identification Number, a FEIN (Federal Employer Identification Number), sometimes a Tax ID Number or taxpayer identification number, is sort of like a Social Security number for a business. While both an SSN and EIN have nine digits, they are written differently to help distinguish the two. An EIN will be written as 12-3456789; while a Social Security number is usually written as 123-45-6789. The Internal Revenue Service (IRS) provides the EIN numbers. Despite the word “Employer” in the name, an EIN is important to get even if you don’t plan on hiring employees at first (or ever). While most often thought of as the registration for reporting withholding taxes for employees, the number does a few other things for a business. Banks will often ask for an EIN to open a business bank account, issue credit cards, or make loans. Other businesses you deal with-such as resellers, wholesalers and affiliates will also ask for an EIN. The EIN is also used when filing tax returns. Almost all business entities need an EIN, but one business entity, the sole proprietorship, is not required to get this number if they have no employees. Sole proprietors who do not have employees will simply use the owner’s personal social security number. Most online companies that provide incorporation services also include a service for getting an EIN, often charging $75 or more. You can do this yourself for free. To apply for an EIN, all you need to fill out IRS form SS-4 or file online. The IRS does not charge any filing fees to get an EIN. Some companies that charge for filing EINs claim the IRS charges a fee, which they pass on to you. That’s simply not true. The IRS gives you an EIN free if you apply yourself. When Do you Apply for an EIN? Be sure to wait and apply for an EIN until after forming your legal entity. You must have the legal name of the business match the business name on the EIN application, otherwise there will be issues when filing the federal tax returns for the business. How Long Does it Take to Get an Employer Identification Number? Filing for the Federal Tax ID Number online will take less than 5 minutes and you have the number almost immediately. Mailing the SS-4 is slower and will take at least 4-5 weeks. How Long is an EIN Good For? As long as you use the EIN on a federal tax return at least once in the last 3 years, the EIN will not expire. You have the option to call in to the IRS’s toll-free number (the number you can call is printed on the form) with your Form SS4 information and get an EIN over the phone. Welcome to this video on how to get an EIN, presented by StartingYourBusiness.com. The EIN number, also known as an Employment Identification Number, FEIN, or Federal Employment Identification Number is a number much like a social security number for a person, but instead for a business. Today we will show how you can apply for one in about 5 minutes. Then on the left side of the page click on the link for small businesses & self-employed. Now on the right side of the page click on the link to apply for an employer identification number. One important note – you can only apply for an EIN between 7am & 10pm, Monday through Friday Eastern Time. A privacy warning pops up. Assuming you are ok with the terms, click OK. This page has some basic information on the application and the IRS provides explanations of terms with the underlined text. Just click on that text if you need more information. When you are ready to start click on begin application. Here we select the legal structure of the business that the EIN is being applied for. If you aren’t sure what entity to choose, please refer to step 2 for your state on startingyourbusiness.com. In this example, we will choose the Limited Liability Company, but the other entities go through a similar process to register the EIN. After choosing the entity, click on Continue. The next page gives a brief overview of the entity that was selected from the previous page. Assuming this choice is still correct, click on continue. In this page, we enter the number of members in the LLC and the state or territory where the LLC is located. 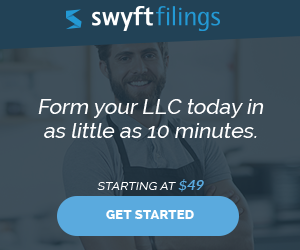 Enter your information, which will match the state you filed your LLC with and click continue. This page asks to confirm the previous selection. In addition, there are two IRS forms which determine the taxable status of the LLC. Take a look at those and click continue. Now we are asked about why an EIN is being requested. Choices include started a new business, hired employees, banking purposes, changed type of organization or purchased active business. Select the one that best corresponded to your reason. In this example, we are choosing started a new business and then clicking continue. The next screen asks who the responsible party of the LLC is, meaning who is filling out the request for an EIN on behalf of the LLC. For most, the answer will be either the owner, a member, their accountant or attorney, If thatâ€™s the case select the individual. Next, provide the information of the individual filling out the request. Enter that person’s name and social security number. Choose whether the individual is an owner or member Or a third party like an accountant or attorney and click continue. Now we are being asked to provide information regarding the physical location of the LLC, which should be the same as the address information of the LLC filed with your state. It must be a US address and PO Boxes are not allowed. Next, enter a phone number. Also if you want documents sent to an address different from the physical address above, click yes and enter the address. Some will choose this if they want their accountant or attorney to manage correspondence with the IRS. Make sure this information is correct and click continue. Next the IRS requests additional information about the LLC like the legal name which must match the articles of organization, trade name if it is different than the filed name, county and state where the LLC is located and the state where the articles are filed, which may be different if they are filed with an out-of-state owner, accountant or attorney. Select the LLC start date, check for errors and click continue. We are close to finishing and now being asked if the business owns a highway motor vehicle weighing over 55,000 pounds, involves gambling, filing excise taxes, manufactures alcohol, tobacco or firearms and if there are plans to hire employees in the next 12 months. Select yes to any of the responses that apply to your business, otherwise select no and click continue. Here choose the category that best describes what your business does. If none of them do, choose other where you can pick from consulting, manufacturing, organization, rental, repair, sell goods, service or if those don’t apply, there is a field to type in the particular information for your business. Select whether you prefer to receive the confirmation EIN letter online or by mail. Selecting online gets the letter immediately while by mail will take up to 4 weeks. Last we have the summary page. Review the information for any mistakes, click submit and within a couple of minutes you will have registered an EIN and received a number for your business. Thanks for watching this video on how to get an EIN for your business. How do I find my EIN? If you misplaced your EIN there are a number of ways to find it. Look back at your records to see if you have the printed notice when you applied. The IRS doesn’t email it, so you will have had to print it out. Call the IRS Business & Specialty Tax Line at 800-829-4933. Contact your bank if you opened a bank account under the business name as they are required to get it before opening the account. Find an old tax return as you have to use it to file taxes from the business.